Valentine’s Day is right around the corner, and at this time of year our thoughts often turn to love . . . or maybe not . . .
From the current state of world affairs, love is sorely lacking. Back in August 2012 I wrote a blog post on this very topic, and since Valentine’s Day is right around the corner, now is a good time to repost it. So without further ado, here is it . 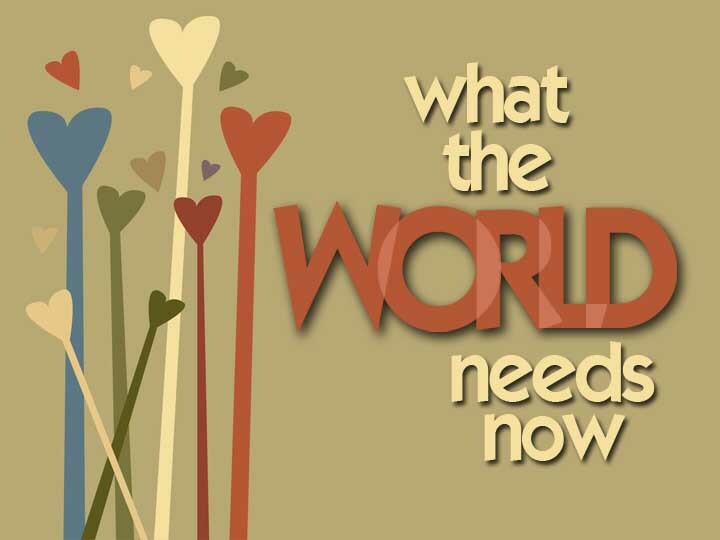 . .
“What The World Needs Now” (is love sweet love)–if you’re old enough you might remember this song made famous by Jackie DeShannon back in 1965 (YouTube video below). Doesn’t seem like much has changed in our world since she sang that song. This old world is still in great need of “love, sweet love.” And now more than ever. Of course, this type of love is not the sexual or “romantic” love between two people that we find so often as a theme in books or plays or movies, but an “agape” type of love. 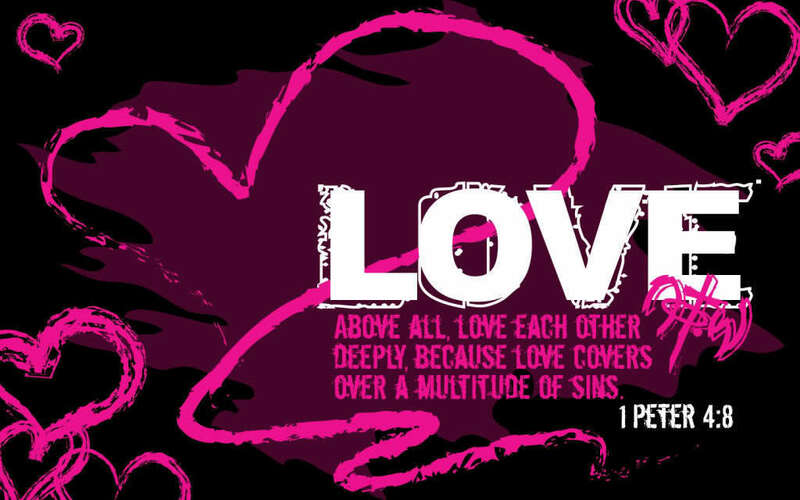 Agape love is defined as: (1) the love of God or Jesus Christ for humankind; (2) the love of Christians for other persons, corresponding to the love of God for humankind; and (3) unselfish love of one person for another without sexual implications; brotherly love (source: Dictionary.com). Agape love–at it’s core–is sacrificial. Compassion travels right alongside agape love. Compassion is defined as “a feeling of deep sympathy and sorrow for another who is stricken by misfortune, accompanied by a strong desire to alleviate the suffering” (source: Dictionary.com). In short, the combination of the two describe what Christian community should be all about–unselfish, sacrificial love for others with a strong desire to alleviate suffering wherever we may find it–and we don’t have to look very far to find suffering in this world. It was one of those backhanded compliments. The guy had listened to me talk during several sessions at a pastors’ conference. All he knew about me was what he’d heard in the past few days: ex-marine . . . schooled in an independent seminary . . . committed to biblical exposition . . . noncharismatic . . . premil . . . pretrib . . . pro this . . . anti that. “You’ve even got some compassion!” Like, if you’re committed to the truth of Scripture, you shouldn’t get that concerned about people stuff–heartaches, hunger, illness, fractured lives, insecurities, failures, and grief–because those are only temporal problems. Mere horizontal hassles. Leave that to the liberals. Our main job is to give ‘em the gospel. Get ‘em saved! Be honest now. Isn’t that the way it usually is? Isn’t it a fact that the more conservative one becomes, the less compassionate? I want to know why. Why either–or? Why not both–and? I’d also like to know when we departed from the biblical model. When did we begin to ignore Christ’s care for the needy? Maybe when we realized that one is much easier than the other. It’s also faster. When you don’t concern yourself with being your brother’s keeper, you don’t have to get dirty or take risks or lose your objectivity or run up against the thorny side of an issue that lacks easy answers. And what will happen when we traffic in such compassion. The Living Bible says, “Then the Lord will be your delight, and I will see to it that you ride high, and get your full share of the blessings I promised to Jacob, your father” (Isaiah 58:14). If you really want to “ride high, and get your full share of the blessings,” prefer compassion to information. We need both, but in the right order. Come on, let’s break the mold and surprise ‘em. That’s exactly what Jesus did with you and me and a whole bunch of other sinners who deserved and expected a full dose of condemnation, but got compassion instead. Others won’t care how much we know until they know how much we care. Let me run one of his statements above by you again (e.g., regarding “a fact that the more conservative one becomes, the less compassionate”): “When did we begin to ignore Christ’s care for the needy? Maybe when we realized that one is much easier than the other. It’s also faster. When you don’t concern yourself with being your brother’s keeper, you don’t have to get dirty or take risks or lose your objectivity or run up against the thorny side of an issue that lacks easy answers.” Ouch, that one stings, doesn’t it? I know I can feel the pain of what it says. Take the old prophets as your mentors. They put up with anything, went through everything, and never once quit, all the time honoring God. What a gift life is to those who stay the course! You’ve heard, of course, of Job’s staying power, and you know how God brought it all together for him at the end. That’s because God cares, cares right down to the last detail. They put up with what? Anything! They went through what? Everything! AND THEY NEVER ONCE QUIT! Not one time!!! That’s perseverance in a nutshell, folks! And all the time they HONORED GOD! In other words, no grumbling allowed! And just look at Job’s staying power! I dare say none of us have had to endure all that Job had to endure (see Job 1-42 for the full story), and he still remained faithful to God through it all–and God rewarded Him with twice what he originally had when his incredible trial first started. The Lord is, indeed, full of compassion and mercy! And we should be, too . . . .
Love never dies . . . .
And I certainly don’t want to be bankrupt without love . . .